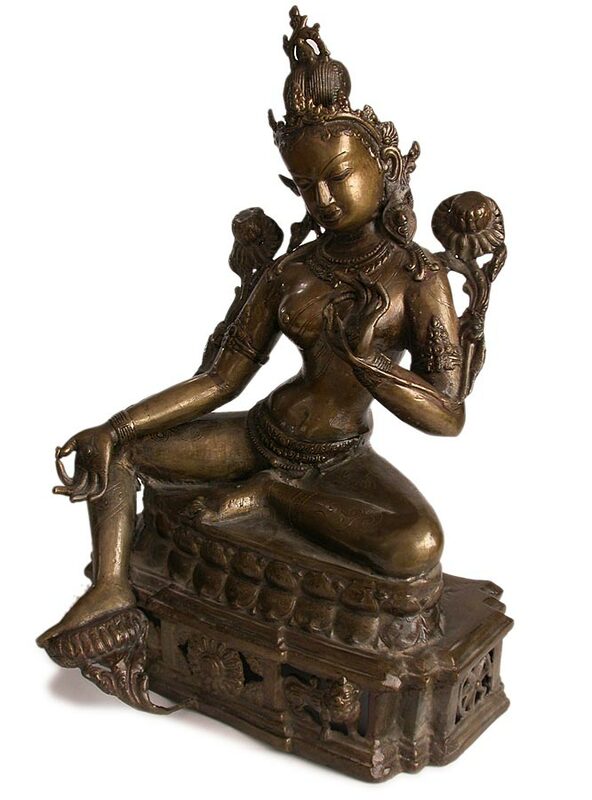 Green Tara is a powerful goddess, a bodhisattva in female form who helps all sentient being to overcome both material and spiritual obstacles. 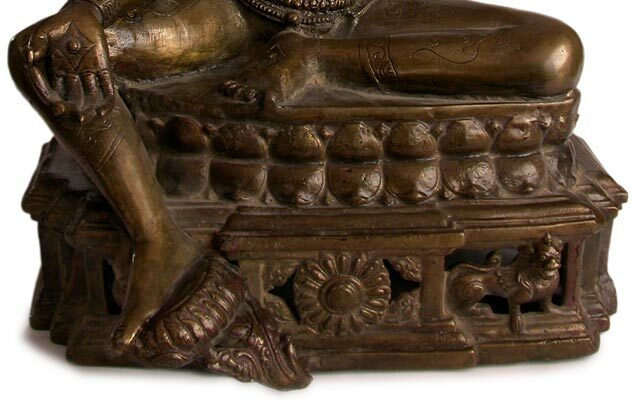 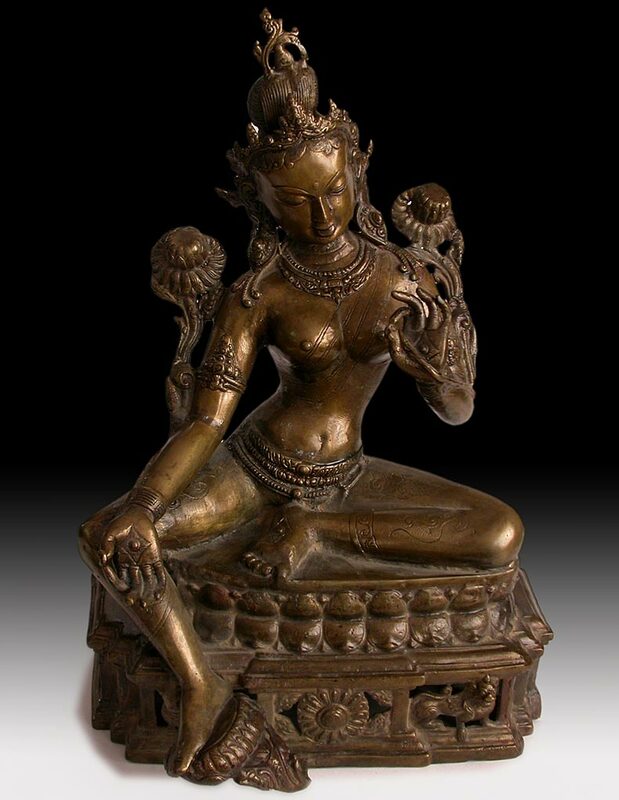 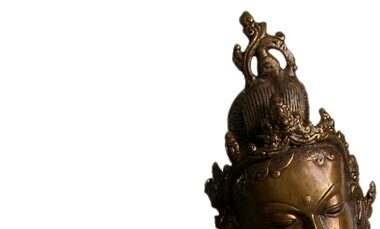 This large bronze Tara statue from early 20th century Nepal embodies Green Tara’s deep visceral connection to the Mother Earth. 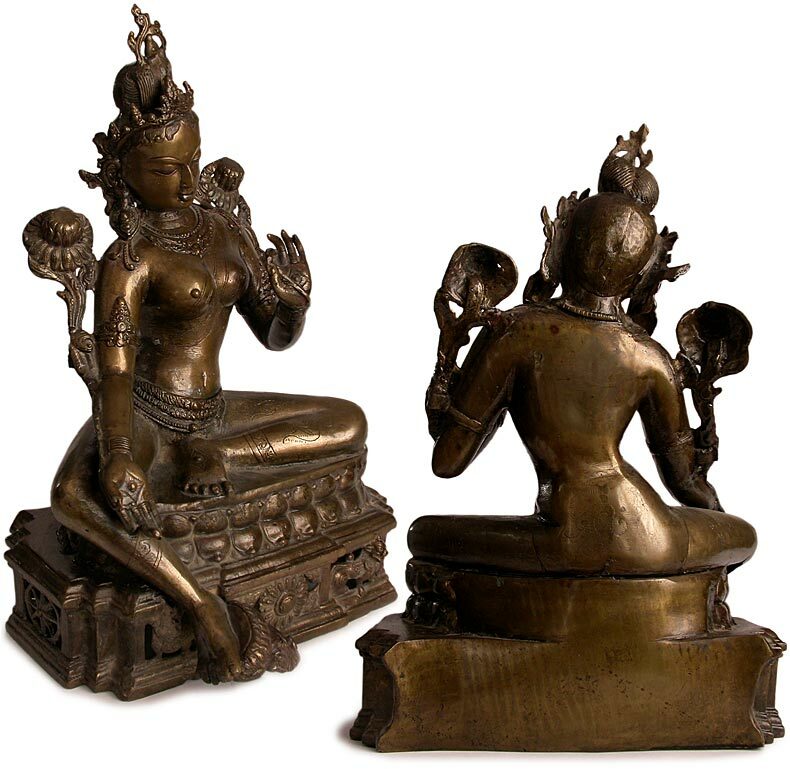 Here she is seated in the lalitasana pose (Royal Ease), with eyes down cast, her golden hued face in lucid contemplation, while her hands gracefully holding two full blooming lotuses, which adorned the sensuous curves of her figure, and symbolized that the goddess is in the zenith of her power and radiance.